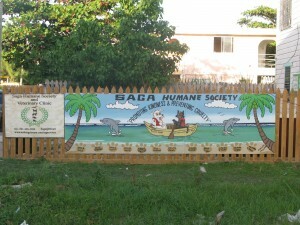 It's hard to imagine Ambergris Caye without the Saga Humane Society. They play a critical role on this island, protecting its disenfranchised creatures... A high percentage of the residents of this island own pets and are animal lovers. Â So those of us who are animal lovers appreciate Saga Society's commitment. Â We recognize the positive impact their dedicated volunteers have made in our community. When on Ambergris Caye, one can't help but notice how many residents have a dog in tow - walking with them, or riding on their golf cart. Â But this island has historically experienced a sad pattern of abandoned pets. Â And we have our fair share of other wild animals that can become a nuisance. But Saga Society is always ready and willing to come to the rescue. Saga Humane Society's (Saga's) mission is to promote kindness, and the prevention of cruelty, to all domestic and wild animals. Â Their primary means of achieving this is through the humaneÂ education program they've implemented within our community. They educate residents through brochures, websites, articles in the local newspapers, and - most importantly - word of mouth. Saga's veterinary clinic offers care at very affordable prices, and no animal is ever turned away due to the owner's inability to pay. Â Anyone who comes into the Saga veterinary clinic with a new puppy or an old dog that is not taking preventative medicine (such as vaccines or heartworm treatment) is educated on the importance of such treatments. They also implemented a neutering program to reduce the future number of dogs and cats that end up on our streets. Â They pick up hurt and abandoned dogs, cats, and other creatures, and take them off the street. Then they treat these poor creatures, nurture them, and do their best to find them a good home. Saga holds a variety of enjoyable fund raising events. The money from these events funds the operations of their veterinary clinic, Fort Dog shelter, and other community animal services. Saga Humane Society is a great example of how a few committed individual volunteers can make a big impact on a small community. In 1999 a small group of women founded the Saga Society, to aid suffering dogs that roamed the streets of San Pedro. Â They were motivated to end the distasteful animal control measures used on the island at that time. Â In those days the Town dealt with the excess animal population by planting strychnine-laced bait around town. Â And there was no veterinarian living on the island at that time. With much work, dedication, and donations, the volunteers built a shelter on land that the Humane Society had purchased. It's lovingly called: Â "Fort Dog"Â. Fort Dog houses lost, unwanted, and homeless dogs and puppies. 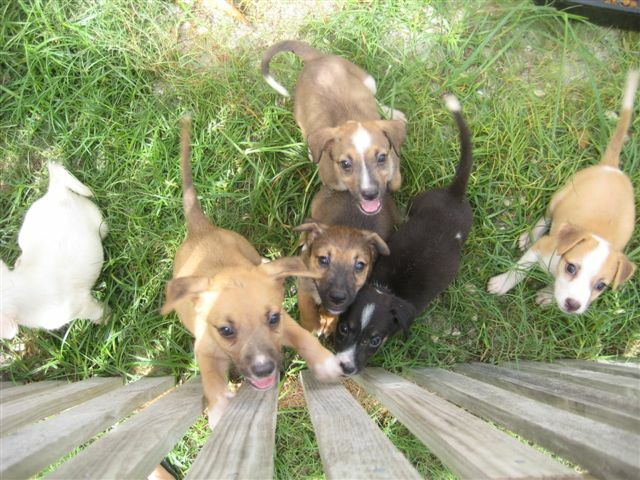 Saga gives them treatment and loving care until they can find an adoptive family. Fort Dog can house up to 40 animals. The first Veterinary Clinic, on Sea Star Street, was also established by Saga. They hired the first fulltime vet on the island. That was a major relief to those of us with dogs we had moved from the USA or Canada. Reasonably priced veterinary animal care services are provided at their Clinic, so that local residents can afford to treat their sick animals. Â And certain services are provided for free. The Clinic also houses the Saga cattery. They always have plenty of kittens and cats looking for a loving home. Saga is staffed mainly by volunteers. Their management team is a mix of local San Pedranos, and expats, working together for a common goal. These people are relentless in working to accomplish their mission. Their army of volunteers helps to pick up and treat injured and dangerous animals. Saga puts on regular events to bring in money to fund their operations and special programs. Their events provide a pleasant opportunity to socialize with our neighbors while helping to fund a popular cause. Â I am time and again surprised by the creativity of their fund raising activities and events, and the sheer number of events they hold. My two favorite Saga events are their monthly Cook Off challenges, and the yearly Halloween costume contest. But they have a booth at almost every major island festival. Saga Cook Offs are a fantastic deal. Each month a specific food is picked. Then anyone can compete by bringing in their favorite recipe in that category. For $5 US, one can attend and sample all of the dishes. It's a great deal, since one always comes away satiated and with stimulated taste buds. Â This regular monthly event is well attended. Earlier in the year Saga held an appetizer cook off. This one was more unusual than most. 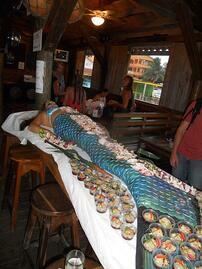 Click here to see how the sushi appetizers were served on a live mermaid! 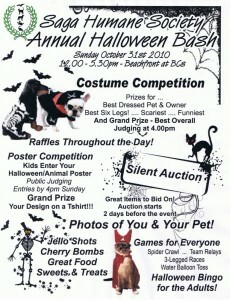 My absolute favorite event is their yearly Halloween pet costume competition. The owners and their pets dress up in coordinated costumes. This event is fun and whimsical. The animals' and kids' costumes are often hysterical. Â A good time is had by all. The proceeds help keep their doors open. So, if you are an animal lover looking for a good cause, just click here and you can donate to Ambergris Caye's Saga Humane Society. Â If you are like many of our visitors, you will want to stop by and visit Fort Dog when you visit. Â If you do, be fore-warned - some of our visitors head back home with an adorable Belizean pot licker! If you are seriously considering moving to Ambergris Caye, be sure to stop by at Fort Dog, or the Saga Clinic. There you will find many needy dogs and cats waiting to find their perfect home.